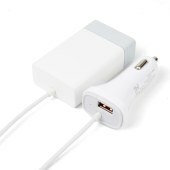 This product is a high-performance and fashionable design Car charger. 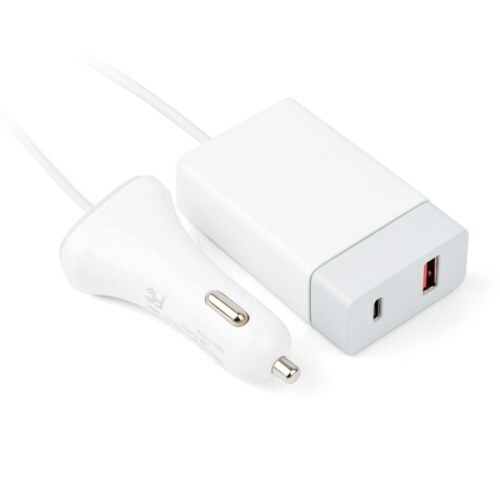 With this charger, it is feasible for you to charge any devices (eg: digital cameras, PDAs, mobile phones, USB accessories) with your car when it is in necessity. It is equipped with three USB connectors (one USB-C connector and two USB-A connector) for power. This product allows three devices to be charged at the same time, and the product provides the maximum output of 34 watts. The USB-C port is specially designed for Type-C notebook with 24W output. It is helpful and convenient to use! Internal chip allows the 12-24VDC of input voltage. Overload protection and over voltage protection. Over temperature protection and remove the fault conditon auto-recovery.